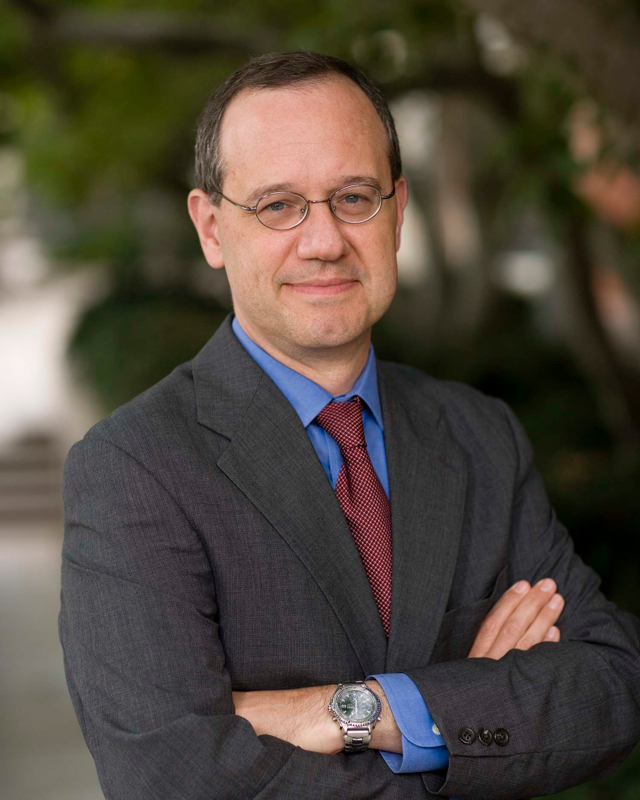 Dr. Aaron L. Friedberg is Professor of Politics and International Affairs at Princeton University, where he has been a member of the faculty since 1987, and co-director of the Woodrow Wilson School’s Center for International Security Studies. Dr. Friedberg is also a non-resident senior fellow at the German Marshall Fund of the United States, a senior advisor to the National Bureau of Asian Research, a consultant to the Long-Term Strategy Group in Washington, D.C. and a member of the Council on Foreign Relations and the International Institute for Strategic Studies in London. From June 2003 to June 2005 Dr. Friedberg served as a Deputy Assistant for National Security Affairs and Director of Policy Planning in the office of the Vice President. After leaving government he was appointed to the Defense Policy Board and the Secretary of State’s Advisory Committee on Democracy Promotion. He has been a consultant to various agencies of the U.S. government, including the Department of Defense, Los Alamos National Laboratory, and the Central Intelligence Agency. In 2011-2012 he served as co-chair of the Asia-Pacific Working Group and the China Policy Transition Team of the Romney for President Campaign. In 2016 he was a member of the National Security Advisory Council for Senator Marco Rubio’s presidential campaign. In 2001-2002 Friedberg was selected as the first occupant of the Henry A. Kissinger Chair at the Library of Congress. He has been a research fellow at the Australian Strategic Policy Institute, the Norwegian Nobel Institute, the Smithsonian Institution’s Woodrow Wilson International Center for Scholars in Washington, D.C., and Harvard University’s Center for International Affairs. Dr. Friedberg is the author of four books, including A Contest for Supremacy: China, America, and the Struggle for Mastery in Asia (published in 2011 and translated into Japanese, Chinese, and Korean) and Beyond Air-Sea Battle: The Debate Over U.S. Military Strategy in Asia (published in 2014 and currently being translated into Japanese). His articles and essays have appeared in a number of publications, including The New York Times, The Wall Street Journal, The Washington Post, The Los Angeles Times, Commentary, The National Interest, The American Interest, The Weekly Standard, Foreign Affairs, The Washington Quarterly, Survival, and International Security. Dr. Friedberg received his B.A., M.A. and Ph.D. degrees from Harvard University. Strategic Asia 2003-04: Fragility and Crisis, co-editor with Richard Ellings (National Bureau of Asian Research, 2003). Strategic Asia 2002-2003: Asian Aftershocks, co-editor with Richard Ellings (National Bureau of Asian Research, 2002). Strategic Asia 2001-2002: Power and Purpose, co-editor with Richard Ellings (National Bureau of Asian Research, 2001). In the Shadow of the Garrison State: America’s Anti-Statism and Its Cold War Grand Strategy (Princeton University Press, 2000). “A New China Strategy,” in John Hay Initiative, Choosing to Lead: American Foreign Policy for a Disordered World (September 2015). “Foreword,” Next Generation Perspectives on the Future of Asian Security (Washington: German Marshall Fund, 2015), p. 1. “Introduction: Thinking About Strategy in Asia,” in Thomas Mahnken and Dan Blumenthal, eds., Strategy in Asia: The Past, Present, and Future (Stanford: Stanford University Press, 2014), pp. 1-10. “The Geopolitics of Strategic Asia, 2000-2020,” Travis Tanner, eds., Strategic Asia 2010-2011:Asia’s Rising Power and America’s Continued Purpose (Seattle, WA: National Bureau of Asian Research, 2010), pp. 25-46. “Strengthening Strategic Planning,” in Daniel Drezner, ed., Avoiding Trivia: The Future of Strategic Planning (Washington, DC: Brookings Institution Press, 2009), pp. 84-97. “U.S. Strategy in Northeast Asia: Short and Long-Term Challenges,” in Wilson Lee, Robert M. Hathaway, William M. Wise, eds., U.S. Strategy in the Asia-Pacific Region (Washington: Woodrow Wilson International Center for Scholars, 2003), pp. 18-30. “How Should the U.S. Respond to China’s Rise?,” China Economic Quarterly vol. 19, nos. 3-4 (November 2015), pp. 48-55. “The Debate Over U.S. China Strategy,” Survival vol. 57, no. 3 (June-July 2015), pp. 89-110. “The Sources of Chinese Conduct: Explaining Beijing’s Assertiveness,” The Washington Quarterly vol. 37, no. 4 (Winter 2015), pp. 133-150. “The Evolving Nuclear Order: Implications for Proliferation, Arms Racing and Stability,” Asia Policy no. 19 (January 2015), pp. 45-48. “The Euro Crisis and U.S. Strategy,” Survival vol. 54, no. 6 (December 2012-January 2013), pp. 7-28. “Bucking Beijing: An Alternative U.S. China Policy,” Foreign Affairs vol. 91, no. 5 (September/October 2012), pp. 48-58. “The Next Phase of the ‘Contest for Supremacy’ in Asia,” Asia Policy no. 14 (July 2012), pp. 31-35. “Reflections on the 9/11 Decade,” The RUSI Journal vol. 156, no. 4 (August/September 2011), p. 8. “Hegemony with Chinese Characteristics,” The National Interest vol. 114 (July/August 2011), pp. 18-28. “Implications of the Financial Crisis for the U.S.-China Rivalry,” Survival vol. 52, no. 4 (August-September 2010), pp. 31-54. “Same Old Songs: What the Declinists (and Triumphalists) Miss,” The American Interest vol. V, no. 2 (November/December, 2009), pp. 28-35. “Here Be Dragons; Is China a Military Threat?” The National Interest no. 103 (September/October 2009), pp. 19-25, 31-32. “China, A Wounded Tiger, Could Lash Out” – (with Gabriel Schoenfeld), Los Angeles Times September 14, 2015. “A U.S. ‘Solarium Project’ for China” – Wall Street Journal August 26, 2015. “The Sleeper Issue of 2016 is China” – Politico.com (May 11, 2015. “Just How Secure is Xi Jinping Really?” – The Diplomat September 12, 2014. “Asia Emerges as Center of Gravity in Global System” – The American October 25, 2014. “Xi Jinping’s Anti-Corruption Campaign is Doomed to Fail” – The Diplomat October 7, 2014.